Surf Lakes unveiled their wave pool technology at a test facility in Yeppoon, Queensland last October. Since then the company confirmed a Gold Coast commercial project, meaning we could all be splitting peaks in late 2020. Surf Lakes works thanks to a giant donut, or plunger mechanism. The device pushes out waves in 360 degrees, like a stone dropped in a pond. The waves then fan out across a lake and break across customised reefs. 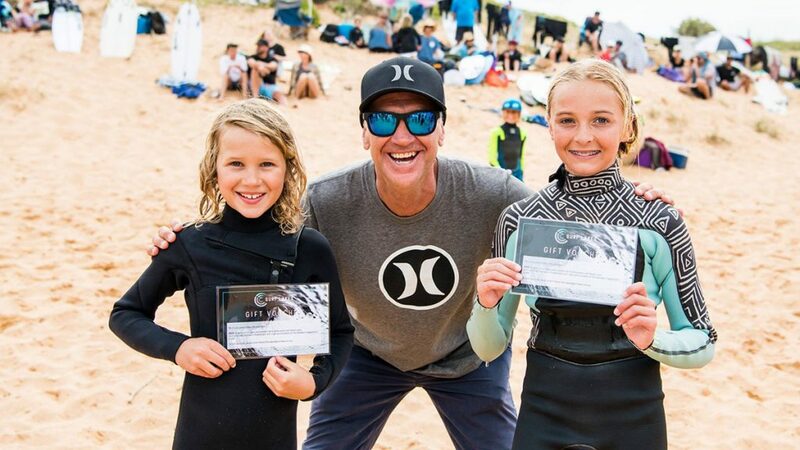 As the different wave pool technologies emerged these past few years, Surf Lakes broke marketing ground by signing on ambassadors for their business. 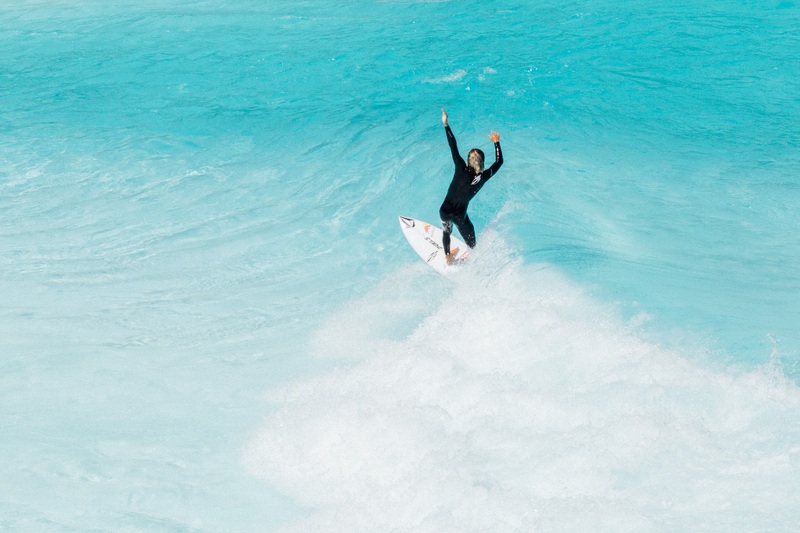 Mark Occhilupo and Barton Lynch became the first surfers sponsored by a wave pool for branding purposes. We chased down Barton Lynch to get his take on Surf Lakes, its potential and what we can expect to see in the near future. 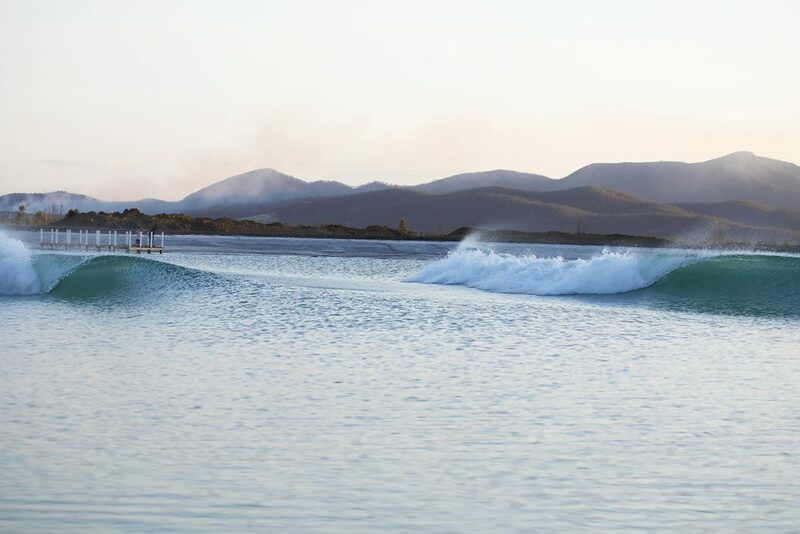 How was the debut of Australia’s first surf-specific wave pool? It was a super cool experience, frustrating at times because I just wanted to surf all day but it was a commissioning period and so there were different types of delays that meant we couldn’t surf and just made me so edgy to get out there. Then there were quite a few people there to surf so had to share them around. But when I got my turn and caught a few it was so firkin cool. The sound and steam from the unit was the warning and then as the plunger started to move you were so nervous and excited and then to ride waves was a treat. It is in such a beautiful area and is such a cool place to hang out, surf with your friends and get stoked out as the sunsets behind the mountain. We have a feeling some coaching is going to go down at the Surf Lakes site. Can you give us any details as to how you see Surf Lakes (and other pools) being used? I think these man made waves are amazing for coaching and I got super excited being there and seeing the potential for practising in a controlled and consistent environment. Getting tubed is one of the hardest things to find and being at a place where you can consistently get shacked and challenge yourself felt like the key for me to personally grow too. Kelly’s wave pool hosts CT events and other WSL-exclusive comps. Given that competition is such a big piece of the Barton Lynch brand, do you see any competitions happening at the Surf Lakes demo centre? I don’t know about at the demo site but I gotta say my mind was racing with ideas for different formats and interesting ways to use surfing as entertainment. I have a few bits of gold in mind that’s for sure. I would really love to bring my Blast Off concept to Surf lakes and will do that as soon as I can. Share with us something that most people don’t know just from watching clips about the test facility in Yeppoon. One of the things we were most stoked with in our testing was how quickly the water settled and how well our channels worked. The principal said to me when we were onsite one afternoon “would you want 15ft faces?” – guess how I responded? Favourite wave at the test facility – Occy’s Peak? The Slab? I really liked the slab, I surfed it the most because Occ was on his peak mostly so I headed across to the slab. I had one right and one left on Occy’s peak and then plenty of lefts on the slab. The interesting thing was to hear Joel and Dingo talk about the right off Occy’s. Parko said it was like small Jbay and dingo was frothing on it too. So all good options and I was stoked on any wave I got ha.